It isn't often that a number of unions come together with a single cause, however, today in the USA that's exactly whats happening. Seven unions and a trade body, representing more than 100,000 pilots have come together to remove a provision from the recent reauthorization bill introduced by the FAA. Sections 744 and 703(a)(xviii) of the bill would authorize a new FAA research and development programme in support of single-pilot all-cargo operations utilizing remote-piloting or computer-piloting technology, and ALPA, the Allied Pilots Association (APA), the Coalition of Airline Pilots Associations (CAPA), the Independent Pilots Association (IPA), the International Brotherhood of Teamsters, the NetJets Association of Shared Aircraft Pilots (NJASAP), the Southwest Airlines Pilots Association (SWAPA), want Congress to know how reckless passage of a bill with this provision would be. "ALPA adamantly opposes FAA Reauthorization Section 744 and will continue to use every resource we have to ensure that this anti-safety provision is not enacted," said Captain Tim Canoll, ALPA president. "The inclusion of this unacceptable provision serves as an existential threat to aviation safety and security, the general public, and the airline piloting profession." "Cargo and passenger carriers operate the same high-performance jet aircraft, share the same congested airspace, and fly over the same densely populated areas. 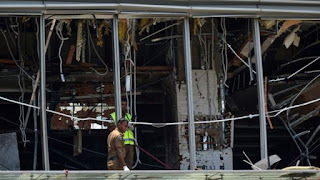 There's no logical reason to apply different standards to each," said Capt. Dan Carey, president of APA. "Given the threat posed by computer hacking and the accident rates for autonomous vehicles and military and civilian drones, it's astonishing that policymakers would even consider this notion. APA is adamantly opposed to the language in Sections 744 and 703(a)(xviii), and we urge Congress to remove it to help preserve public safety." "This technology is neither mature nor proven to a level of confidence capable of assuring a higher level of safety than that which can be attained by two highly qualified, highly trained professional airline pilots on the flight deck," said Lee Collins, CAPA president. "Having the ability to do so in a lab under controlled circumstances does not mean we should do it in our national airspace system now or at any time in the future." "The safety of commercial aviation relies heavily on the experience and coordination of a crew to operate complex aircraft worldwide," IPA President Robert Travis. "Anything less than two pilots physically in the cockpit will significantly increase risk, especially during emergency operations, when timely actions are coordinated and implemented by each crewmember based on real-time information. Our national aviation system and the general public below the flight paths of aircraft operating within that system cannot afford this unwarranted and unnecessary step backwards in safety." "The two-person flight deck model exists not for the sake of redundancy, but to promote safety through shared decision making and communication," NJASAP President Pedro Leroux said. "Any effort to replace a pilot on the flight deck with unproven automation technology vulnerable to hacking and connectivity issues is an imprudent move that undermines the safety of the flying public, places an excessive burden on professional flight deck crewmembers, and jeopardizes the integrity of the national airspace system." "Air travel has never been safer. In fact, 2017 was the safest year in aviation history. Yet, the U.S. Congress is attempting to pass legislation that would allow operators to eliminate one of the most vital safety features of commercial aviation—two pilots in the cockpit. There is no doubt that two well-qualified and well-trained pilots operate as a team in the cockpit and are important contributors to our industry's ever-improving safety record. We demand that Congress continue to protect the flying public and the crews that operate commercial aircraft by keeping two pilots in the cockpit. No amount of cost savings is worth putting people at risk," said Capt. Jon Weaks, SWAPA president. Founded in 1931, ALPA is the world's largest pilot union, representing more than 60,000 pilots at 34 airlines in the United States and Canada. For more information, visit alpa.org. Headquartered in Fort Worth, Tex., APA serves as the certified collective bargaining agent for the 15,000 professional pilots who fly for American Airlines. APA was founded in 1963 and is the largest independent pilots' union in the world. APA provides a broad range of representation services for its members and devotes more than 20 percent of its dues income to support aviation safety. For more information, visit alliedpilots.org. 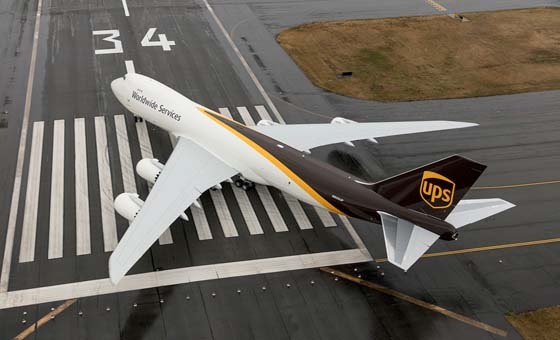 The IPA is the collective bargaining unit representing the more than 2,500 professional pilots who fly for United Parcel Service, the world's largest transportation company. The IPA is headquartered in Louisville, Ky. For more information, visit ipapilot.org. Founded in 2008 as an independent labour advocate, the NJASAP represents the professional interests of the 2,700-plus pilots who fly in the service of NetJets Aviation Inc. For more information, visit njasap.com.